This Apple iPhone review focuses upon what is known about the new model and also those Apple iPhone features that can be reasonably assumed to be present from what is known about the OS and dimensions of the model. The next Apple iPhone will be with us shortly, and still nobody is certain of its name, let alone the new Apple iPhone 5 features that attract people to purchase it. However, after everything has been considered, we are able to offer an Apple iPhone 5 review with a largely high degree of confidence in its accuracy. Then again, the 4S was #5 in the iPhone genealogy, so don’t be surprised if the iPhone 5 turns out to be the 5S or even the 6, although the smart money is on iPhone 5, so that is what we shall call it! That said, the secrecy over its name has apparently not been emulated by that over its features, since every man and his dog appears to know what will be include in this new smartphone. The question is – who is right and who is wrong? Here is what we have found out so far, starting with what it will look like. Don’t expect anything evolutionary in appearance with the new iPhone 5. From the leaks that we have managed to see, it looks pretty much like the current model. It will be available in black and white, likely with a 2-tone back. Apple likes the 4 inch screen with a 16:9 aspect ratio, and that is likely what the display size of new iPhone 5 will be. The OS will almost certainly be iOS6: this enables fabulous 3-D maps, integration with Facebook without leaving your app, shared photos and lots more. For example, if you get an incoming call and decide to decline it, you can send a preset text message to the caller. You can also refuse to receive calls with a Do Not Disturb option – except from must-answer contacts such as your partner or the boss! You will notice a definite improvement in functionality and options with iOS6. It seems that the screen will be the Sharps IGZO screen. The word is also that the thickness of the iPhone 5 is the same as the last model. If true, then the IGZO screen is very thin due to the size of the extra light available through the display with the smaller transistors that IGZO uses. That extra thickness available can only be used by battery space – so the battery must be larger. This is supported by the fact the iPhone 5 will possibly have LTE (Long Term Evolution, also known as 4G LTE) which is very demanding on batteries. Battery life should therefore be a lot longer than with any other iPhone models. On the other hand, the Sharp screen could also be proof that the iPhone 5 will come with LTE! Maybe that’s why Apple has not used the very fast networks until now – and it must keep up with Android which would necessitate this. Because LTE draws heavily on battery power, and a standard iPhone battery would not last even one day using it, the coincidence of these various factors indicates that the iPhone 5 will almost certainly come with 4G LTE and the Sharps IGZO screen, along with more battery power to take up the extra space the thinner screen allows. 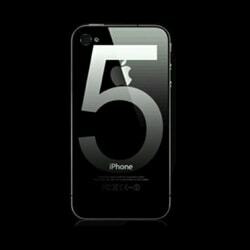 There are rumors that iPhone 5 will include NFC, that allows communication between phone through contact or close proximity. Google Wallet, for example, allows card information to be loaded into your smartphone then used to make payments simply by touching against the terminal. This saves physically pushing your car into a slot. However, this is still not certain, though it would be useful for exchanging photos simply by touching your iPhones together! It is also in common use in India for box office and other transactions. The new iPhone 5 will be offered with 32 GB and 64 GB storage. It will also offer Face Recognition, so that if your phone is stolen, face detection can be employed to ascertain the owner – or more correctly, who is not the owner! This Apple iPhone 5 review has also looked at peripherals, where it seems likely that a new dock connector will be required. It will likely be smaller with the new 19-pin conformation being used as is used with the iPod Touch. However, somebody will likely come out with an adaptor so you can use your existing connector. 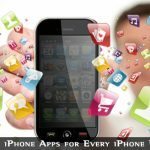 In general, the developments discussed in the above Apple iPhone 5 review have covered all the known improvements offered with the new model that would affect the normal user. Fundamentally the new Apple iPhone 5 features are based not so much on looks, as offering 4G LTE capability and the iOS6 operating system – these will make very significant and noticeable differences. Thanks for a complete review about the iPhone5 although I am not a Gadjet lover but I liked your article because it is about iPhone (Brand of the Brand). Hey I liked the image you used in this article. Really matching with article, uncovering it slowly. Still iphone 5 is not yet released how can u review that!!! Have you read the post? Read it carefully then post a comment. 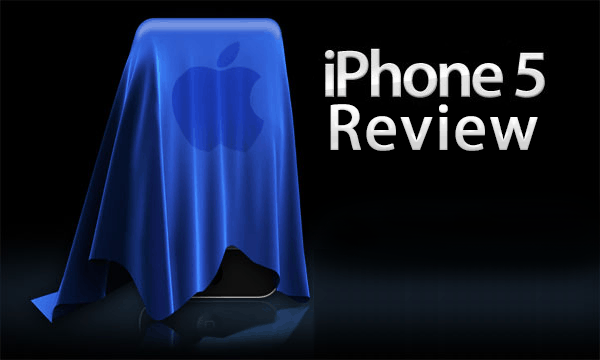 Change the title to say what to expect out of iPhone 5 or what you know till now ? It is not necessary as readers will know about it as they start reading article. I suggest we wait for the real thing so that we cannot get ahead of ourselves. Nice review and make the features in bullets easy to read and understand. Thanks for suggestion, we’ve added H3 headings to features. The iPhone 5 is going to be the next generation phone. While after using iPhone 4 now for a longer time, I am actually looking forward to get the iPhone 5 as well. iPhone 5 news are hot. Sources tells that it will launch in September. Apple is only missing in price. Otherwise each and every tech lover can go with Apple. Great informative post, I guess the iPhone 5 comes with a illusion display. I was waiting for it since some months as I think its very great release from Apple. Nice Post thnx for info. FaceTime will be made compatible with 3G networks in the new iOS, while a new app called Passbook will allow users to book airline tickets. if you want to have a hassle free phone, much more better to be with samsung or android phones. iphone’s are anti piracy. and they secured every gadgets w/ itunes. w/c is for their business. most apps needs to be paid before you can download them w/c is unfair, because iphone is already expensive so why should their apps have some pricess as well. make no sense. they love money! My galaxy note 2 beats down Iphone 5 hands on.Still thanks for providing a comprehensive review. I know this is old article, but written is a very well manner to the point, great job. I never seen this much good specification about iPhone, I really like it and I was searching for NFC and you have given great review about that too, thank you so much for that. Apple lags just because of its high price. Else every tech lover would go for it!